Captured this amazing local artist portrayal of MLK Jr at SPARCC launch meeting in Denver last spring. (Photo: MZimmerman, 2017). The world today remains a complex and contradictory one with unprecedented opportunities and challenges. As recently detailed by Princeton sociologist Matthew Desmond, unacceptable numbers of Americans are being evicted from their homes, sometimes for petty or bureaucratic reasons. At the same time, advocates in cities like Mountain View and Richmond, California are pushing forward bold tenant and renter protections. There is much to learn, both in how to better diagnose and communicate the unequal and destructive urban policies that reinforce economic, cultural and racial segregation; and in how practitioners, elected officials, academics, business leaders and community organizers are advancing solutions that will in fact, bend the future of urban America towards justice. Over the next few weeks, Mariia Zimmerman the Founder and Principal of MZ Strategies, LLC, will be on the road speaking with partners about ways that communities can be empowered, or are empowering themselves, to create more equitable and resilient outcomes. National Equity Summit convened by Policy Link in Chicago (April 11-13). National Conference of American Planning Association in New Orleans (April 21 – 24) – Mariia will be speaking on April 24th about Regional Livable Communities Programs, and chairing APA’s Infrastructure Work Group meeting. Spring Convening of Strong Prosperous and Resilient Communities Challenge in Atlanta (May 1-3) – Mariia is coordinating the SPARCC Initiative’s anti-displacement work with a focus on policy and data as tools for systems change. So grateful for the inspiration, mentorship, and impact Hank Dittmar shared with me and countless others over the years. In honor of Women’s History month, Jeff Wood asked Mariia to list the three women she would enjoy having lunch with (no teasers!). Earlier this spring, however, two men passed away who also had a major impact on Mariia’s life: her beloved brother Rick Kraus, and the incomparable Hank Dittmar who’s impact on transportation, urbanism, and music is felt around the world. 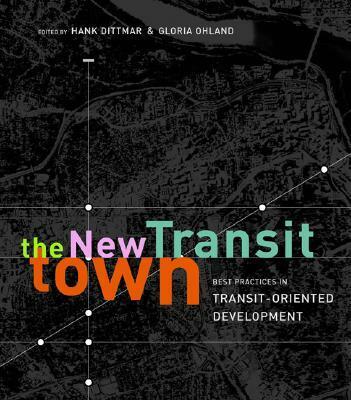 Among other things, Hank took over Reconnecting America and started the Center for Transit Oriented Development where Mariia enjoyed some of the most rewarding years of her career. Both men died too early, and from cancer – a disease which continues to devastate countless lives regardless of race, class or age. Yet in returning to where this blog began, Reverend Dr. King also cautioned that segregation hurts us all. Research continues to show an undeniable link between increased levels of racial segregation and increased exposure to air pollution, water pollution and noise pollution causing greater rates of asthma, heart disease, cancer and many other negative health effects to people of color. And so, just as we hope that spring will finally arrive with its lasting warm breezes, sunshine and colorful foliage; let’s also do more than hope -- let's re-commit to our work together in creating inclusive, safe, and prosperous communities for all.